If you are an AR-15 aficionado then you probably would benefit highly from an AR-15 Armorer’s tool kit. 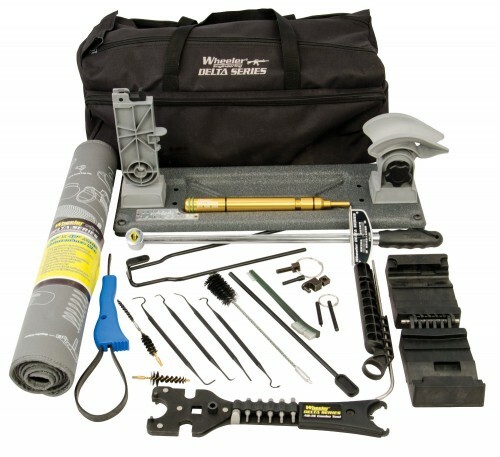 These kits include every tool necessary to work on an AR-15 rifle such as an armorer’s vice, AR-15 combo tool, upper vice block clamp, Delta ring tool, torque wrench, maintenance mat, sight tools, etc….19 pieces in total. This entry was posted in Cleaning Tools by admin. Bookmark the permalink. Frog Lube CLP Review – used in Afghanistan? Hoppes Boresnake 9 mm – Buy It?